In June 2016, I joined a group of test drivers of electric vehicles with fuel cells. We started in Norway, and headed South, passing Denmark, Germany and Austria to reach Italy in five days. Thanks to Hyundai Europe for sponsoring such a great adventure and thank you to the team drivers, organisers and supporters. In February 2016, I drove from Austria, heading North, passing through Germany to reach The Netherlands in 17 hours net driving time. I refuelled at Innsbruck, Stuttgart, Karlsruhe, Duesseldorf and Helmond. WORK IN PROGRESS – November 2018, 2,470 km Innsbruck-Rotterdam and back. It was the second time from Austria to The Netherlands. 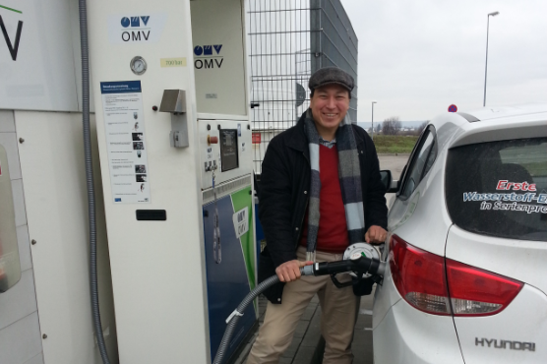 Many more hydrogen refuelling stations opened in Germany now. Also passed through France and Switzerland. 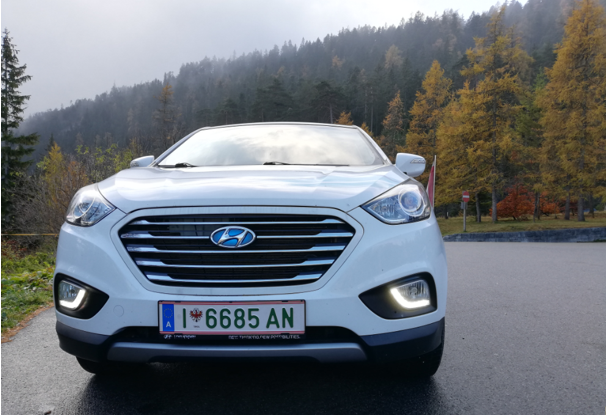 Hyundai ix35 FCEV, in its 5th year, continues to be a great hydrogen ride. Second encounter with the Hyundai Nexo, but had to drive with the Hyundai ix35/Tucson FCEV to Munich to witness the introduction. One day short of the Oktoberfest. 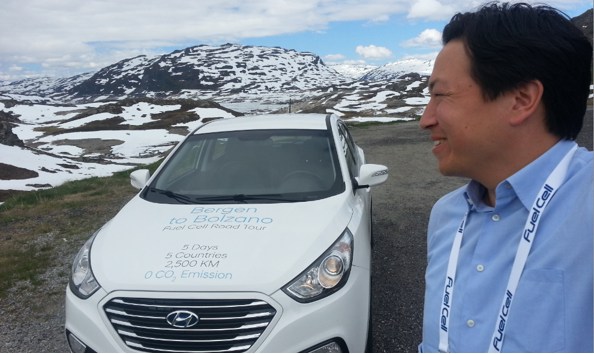 Thank you Hyundai Austria for letting me test the FCEV. Electric cars with fuel cells use hydrogen to refuel. It takes less than 5 minutes. Sofar, I have refuelled more than 70 times at hydrogen refuelling stations across Europe. What I find interesting is how the hydrogen is produced and how, in some cases, the hydrogen is being transported to the stations. In the future, there will be many more possibilities, such as hydrogen refuelling in addition to charging up the battery with a plug; and the electric journey has already begun.